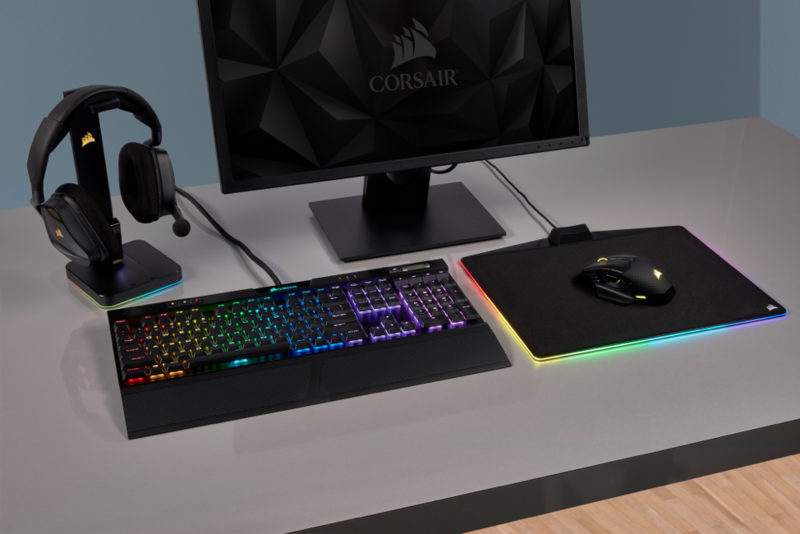 FREMONT, CA — October 25th, 2018 — CORSAIR®, a world leader in PC gaming peripherals and enthusiast components, today announced the launch of the new CORSAIR K70 RGB MK.2 LOW PROFILE and CORSAIR K70 RGB MK.2 LOW PROFILE RAPIDFIRE mechanical gaming keyboards. The newly released duo of K70 RGB MK.2 LOW PROFILE keyboards builds upon the renowned heritage of the award-winning K70 RGB MK.2 by combining the fastest actuating CHERRY® MX Low Profile RGB keyswitches with a new slim design, for a more comfortable typing experience while preserving the K70 range’s mechanical precision and gaming performance. The CORSAIR K70 RGB MK.2 LOW PROFILE and K70 RGB MK.2 LOW PROFILE RAPIDFIRE come complete with all of the extras that PC gamers demand of a fully-featured CORSAIR K70 keyboard: dedicated multimedia controls, a knurled aluminum volume roller, a USB pass-through port for additional devices, onboard profile storage to take your settings anywhere and 100% anti-ghosting with full key rollover to guarantee that every keypress always registers. 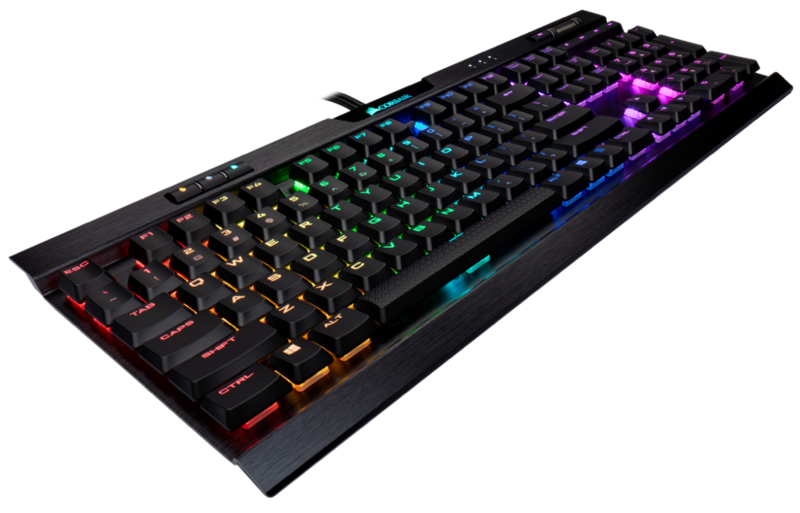 Both keyboards also come with additional replacement low profile FPS and MOBA gaming keycaps for the WASD and QWERDF keys—specifically textured, sculpted and color-accented for the most often used keys for gaming. In 2018, CORSAIR acquired Elgato, the leading provider of hardware and software for content creators. With decades of experience in video technology, Elgato engineers premium capture cards, studio controllers and accessories that empower anyone to produce professional content for worldwide audiences on Twitch, YouTube, Mixer and Facebook. Together, CORSAIR and Elgato offer a comprehensive range of cutting-edge products for gamers and creators alike. Copyright © 2018 CORSAIR Components, Inc. All rights reserved. CORSAIR, the sails logo, and Vengeance are registered trademarks of CORSAIR in the United States and/or other countries. All other company and/or product names may be trade names, trademarks, and/or registered trademarks of the respective owners with which they are associated. Features, pricing, availability, and specifications are subject to change without notice.